Originally with a star performance from Penelope Keith as Grace the recently widowed wife of a country vicar, this play became a popular success. Since then it has played in theatres in this country and overseas. 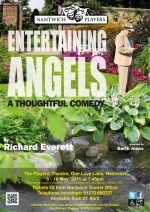 It is witty, warm, philosophical and one of those rare modern plays which avoid giving any offence. The new vicar arrives and seems anxious to talk with Jo, Grace's therapist daughter. Grace's sister, Ruth, now temporarily home from missionary work, reveals a long hidden secret which affects them all. Grace meanwhile spends a lot of time in the garden by the stream. With guilty secrets, family memories and questions about God, this meaningful comedy will challenge its performers and intrigue and delight its audiences. 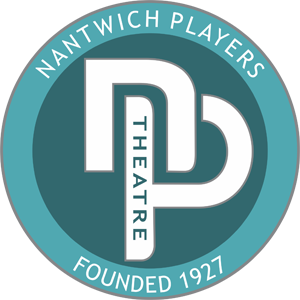 And with a country vicarage for a set, you can rely on Nantwich Players to deliver the goods! Directed by Garth Jones, performances will be at 7.45pm on 8 - 16 May, 2015. Auditions will be held at the Theatre at 7.45pm on 24th February. Non-members may audition by joining and paying membership on the night. Tickets priced at Â£8.00 will be on sale from Nantwich Tourist Office (01270 600727) from 21 April, 2015.